Millions of cars are being recalled for faulty airbags, ignition switches, accelerator pedals, and so on. We suppose it was just a matter of time before the scammers would jump on this train and send out scams disguised as car recalls notices. And they are correct! 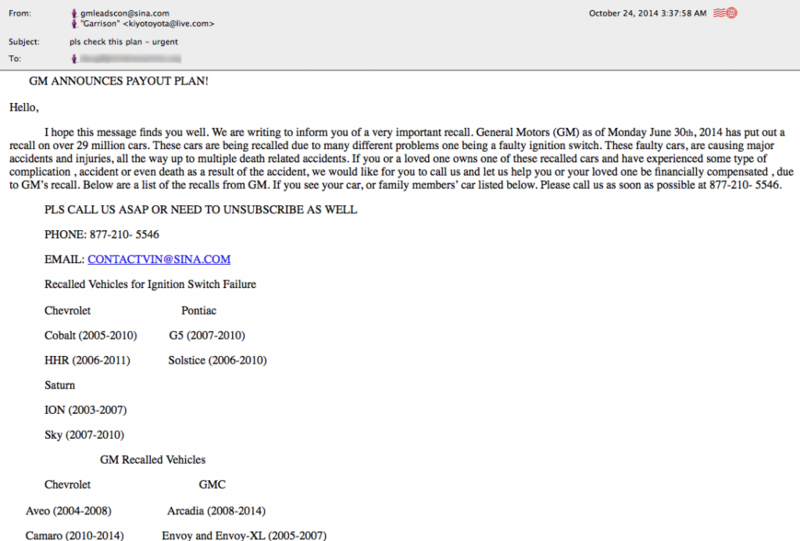 The emails don’t come from GM.com! Also, other folks online have complained about the telephone number listed in the email, 877-210-5546. Check out this link at CheckWhoCalled.com. Lesson? It pays to be skeptical online.